Dr. Sombat Treeprasertsuk is affiliated to Faculty of Medicine, Division of Gastroenterology, Chulalongkorn University, Patumwan, Bangkok, Thailand. [email protected], Chulalongkorn University, where Dr. Sombat Treeprasertsuk is currently working as Professor. Dr. Sombat Treeprasertsuk has authored and co-authored several national and international publications and also working as a reviewer for reputed professional journals. Dr. Sombat Treeprasertsuk is having an active association with different societies and academies around the world. Dr. Sombat Treeprasertsuk made his mark in the scientific community with the contributions and widely recognition from honourable subject experts around the world. Dr. Sombat Treeprasertsuk has received several awards for the contributions to the scientific community. 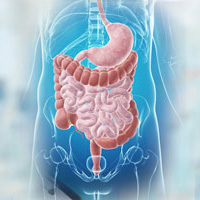 Dr. Sombat Treeprasertsuk major research interest involves Gastroenterology. A significant cancer burden and high mortality of intrahepatic cholangiocarcinoma in Thailand: a nationwide database study.